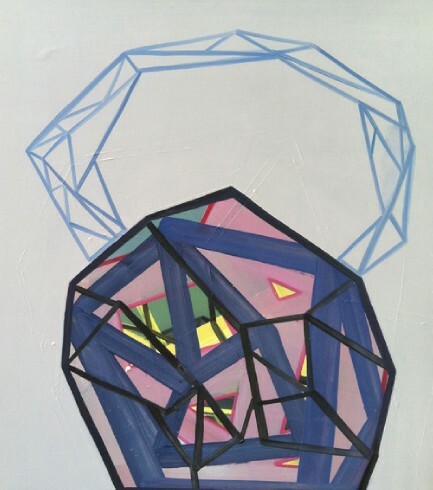 I am interested in creating a hybrid of geometric forms and intuitive, painterly process. Some of my paintings read as “places” of a psychological nature. 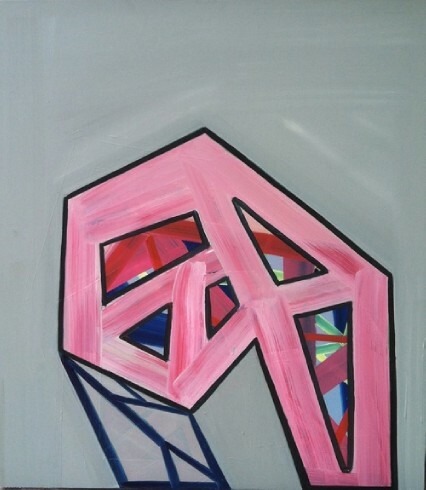 In most, geometric forms - some precarious and off balance, some bold and assured - are stand-ins for figures. Each of these so-called figures displays an individual personality and implied narrative. Experimenting with the idea of opposing forces is also a large part of my work. Bold color against muted, geometric forms mixing with organic, painterly texture against flat areas, pattern against color field - these are variables that I mix and layer in multiple stages until a resonant image is formed. The many layers in each piece speak to both the history of the painting’s creation, as well as to the hidden layers of self that we conceal and reveal in time. I know a painting is complete when it has become its own separate being, one with a sense of honesty and dignity. Drawing inspiration from artists such as Philip Guston, Thomas Nozkowski and Amy Sillman, I find this tug of war between representation and abstraction to be endlessly intriguing. This blog was written by Ashlynn Browning, whose work will be on display April 5 - June 2, 2013 at Greenhill during Independents. For more about Ashlynn visit www.ashlynnbrowning.com.